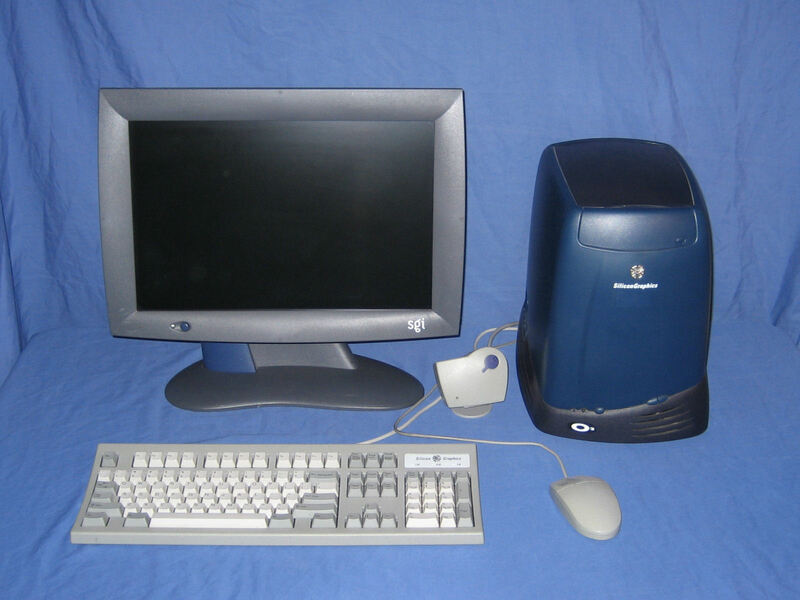 In January 2006 I spotted an offer on one of the mail lists at work for a number of unwanted SGI systems, to be exact four different Indy's and an O2. Luckily I responded quick enough for my request for the R5000 Indy and the O2 were accepted. 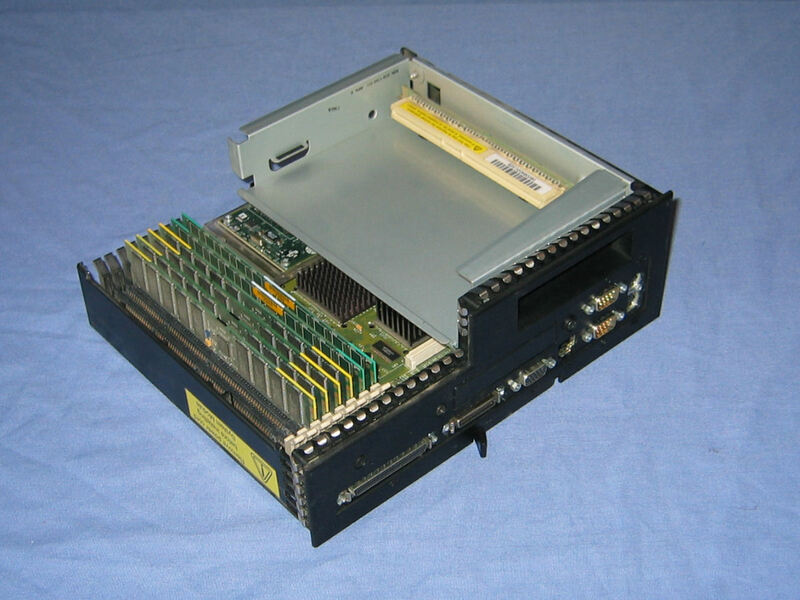 The O2 system is the lowest CPU model (180Mhz R5000 with no L2 cache) but it does have the full I/O module and 256MB of RAM. 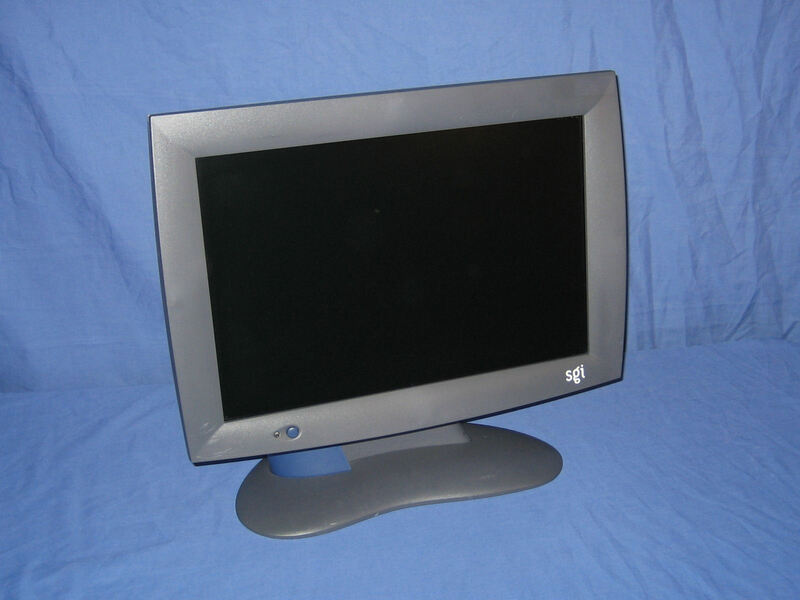 The peripherals I got with is include a SGI branded 20" display, keyboard and mouse, and the (apparently rare) O2 camera. 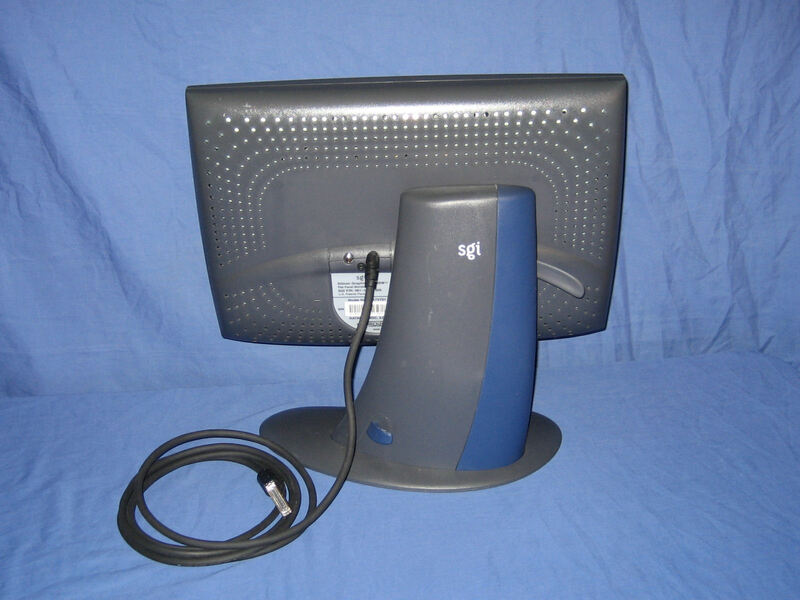 In April 2007 I acquired a SGI 1600SW display with a MultiLink Adapter which became part of this system, replacing the 19" CRT. Complete system after I got the 1600SW display with keyboard, mouse and the O2 camera. Complete system as I originally got it with the O2, 19" display, keyboard, mouse and the O2 camera. 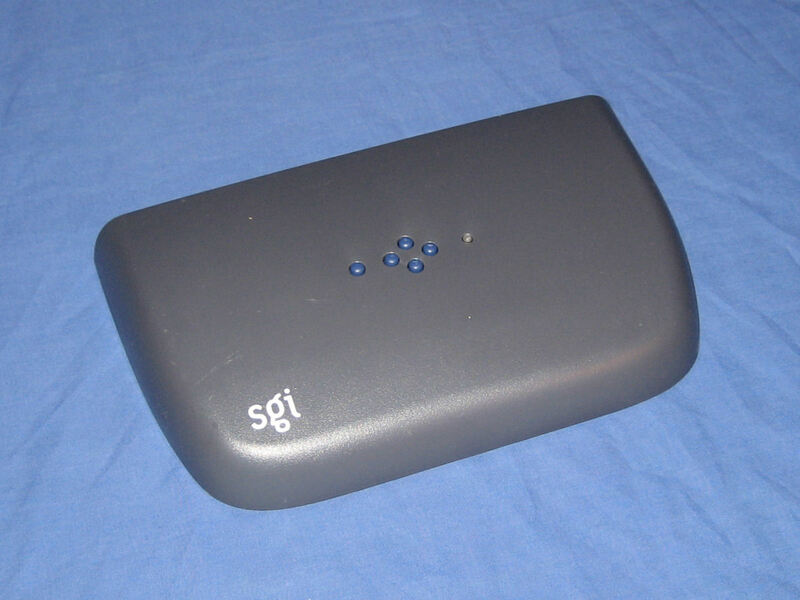 The front of the unit features a CD-ROM drive at the top above the SGI logo. Across the bottom are a reset button, power indicator, power switch and volume controls. 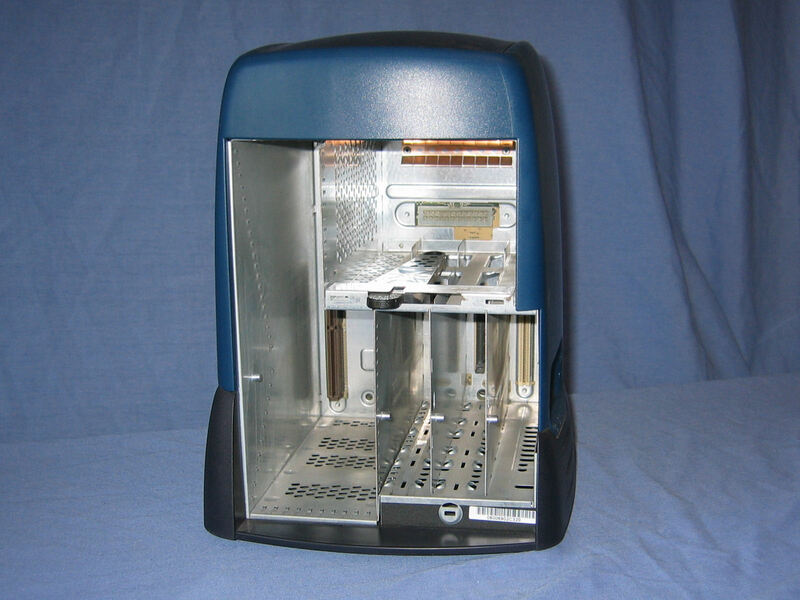 The CD-ROM is standard drive with a custom faceplate attached to the tray that is matched to the overall skin of the unit. 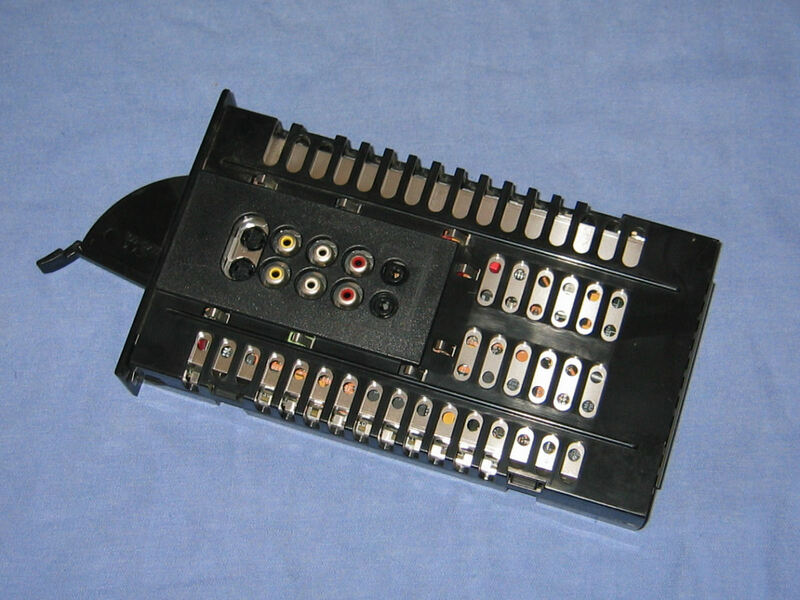 The rear of the unit contains the standard assortment of ports (video, mouse, keyboard, parallel, scsi, etc) while on the left side (when viewed from the front) features an array of audio and video inputs and outputs. This is a R5000 CPU model which means it has two hard drive bays (only one is populated). The mainboard, hard drives and I/O module simply slide out of the chassis once their retaining lever is released. 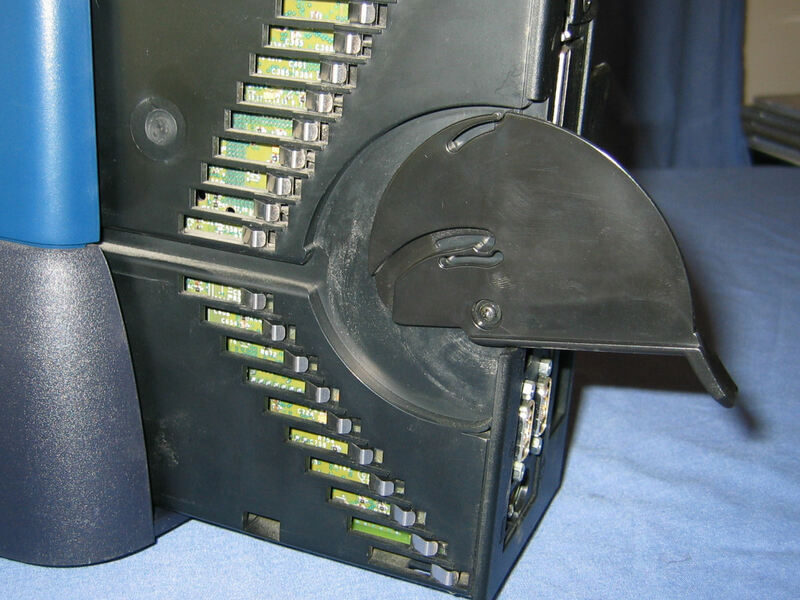 The flat black piece of metal slots into the rear of the unit and when a lock (laptop type) is attached the removal of these modules is prevented. A view from the rear of the empty chassis once the modules and power supply have been removed. 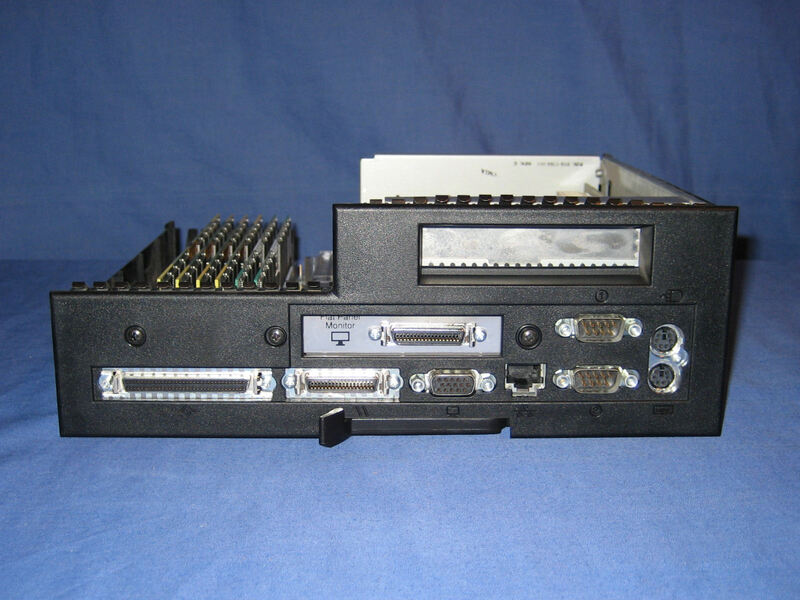 Apart from the backplane that connects the modules together the only component that remains is the CD-ROM drive in the upper section. 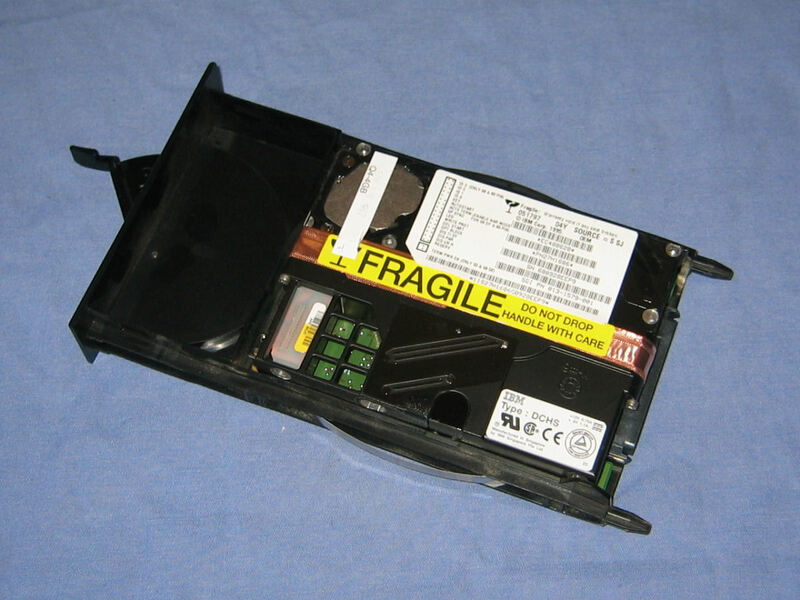 The black top piece of the skin can be removed by releasing a catch near the power supply. 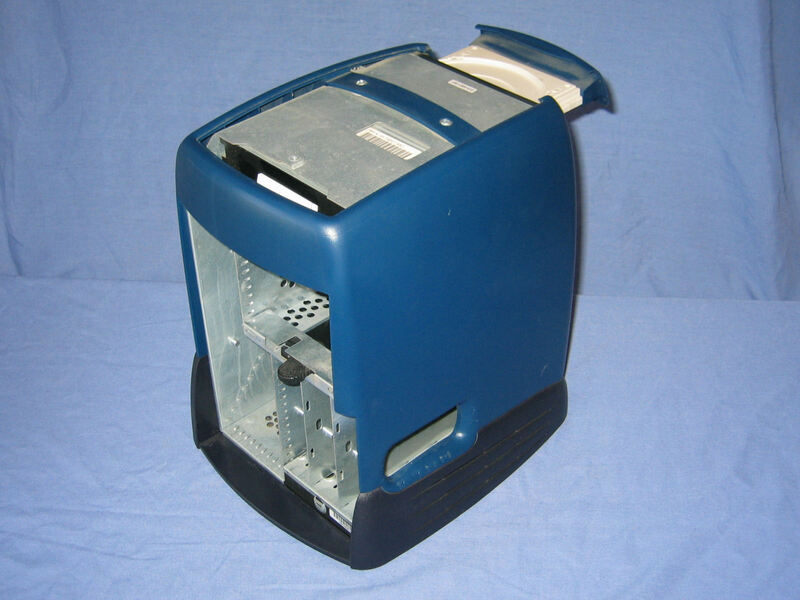 At this point it is possible to remove the blue section of the skin which would allow the CD-ROM drive to be removed. The motherboard module. 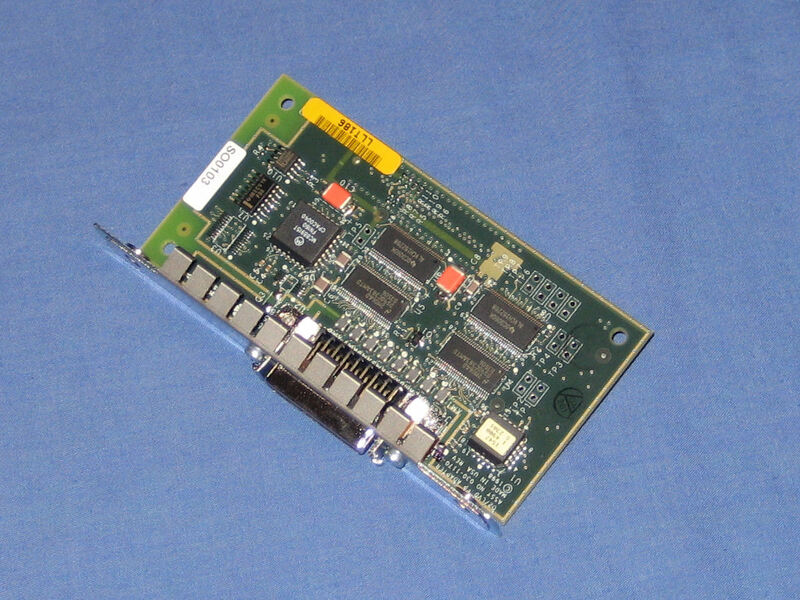 On the left side are the eight proprietary RAM slots (six are populated with a total of 256MB) and on the right side is the bracket for a PCI card. Removing the PCI bracket exposes more of the logic board including the CPU module which contains a 180Mhz R5000 CPU. A closeup of the ports on the motherboard module. 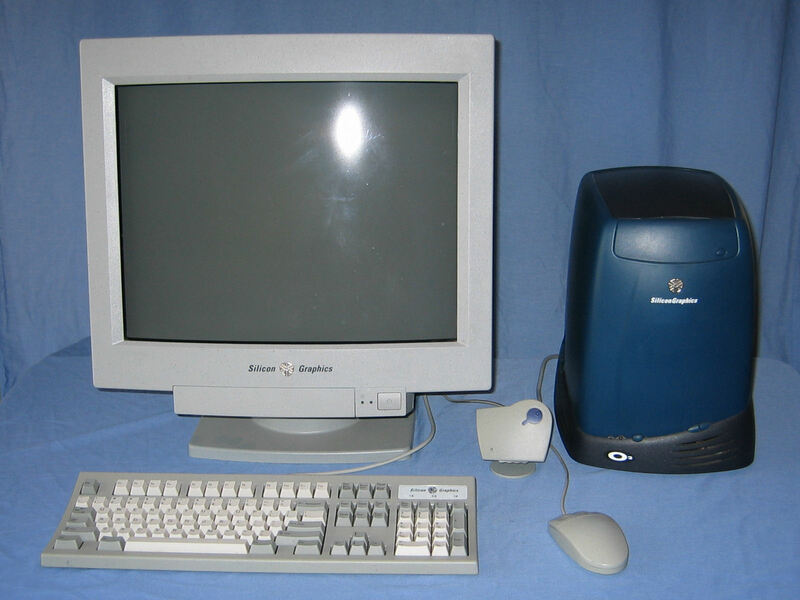 From left these are SCSI, parallel, VGA (standard DE-15, not 13W3), ethernet, two serial, keyboard and mouse. 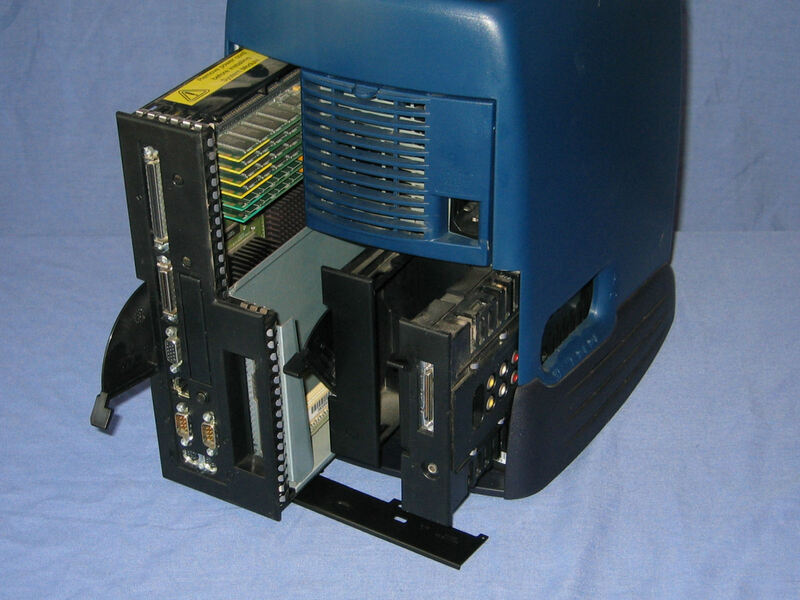 Above the video and parallel ports is the space where the adapter for the SGI 1600SW display is installed and above all of the ports is the back of the PCI slot. A closeup of the locking lever for the motherboard module. A pin inside the chassis runs along the slot on the back of the module until it fits into the lever. When the level is closed it pulls the module into the case as the pin moves along the curved slot. The hard drive and I/O modules have a similar mechanism. This I/O module provides both input and output for S-Video, composite video and sterero audio. 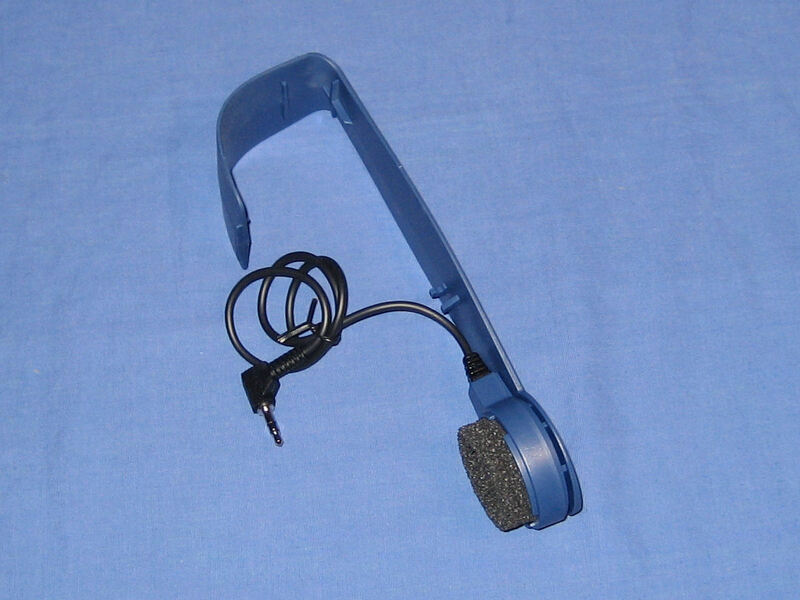 The last two ports on the side are for headphones and a microphone and the rear of the module contains an audio line-out and the port for the O2 camera. A hard drive module. 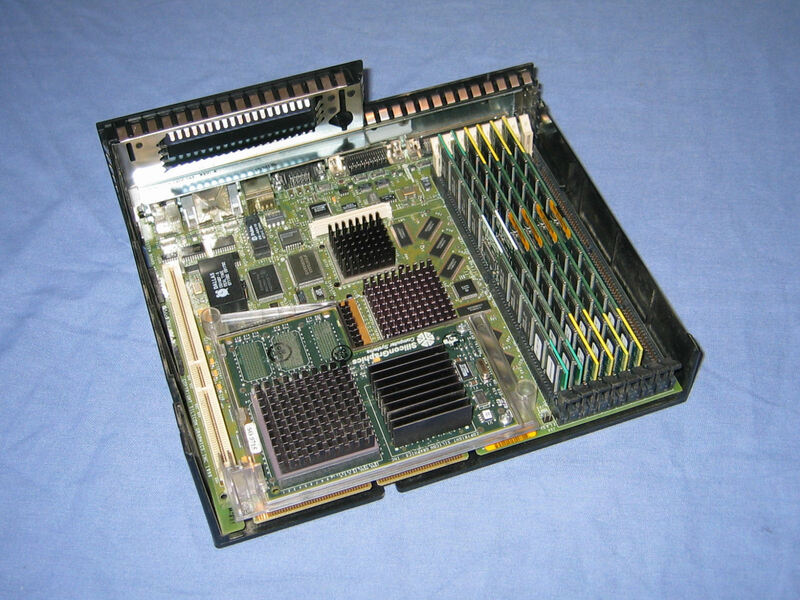 This is essentially a plastic frame for a standard SCSI hard drive with a SCA connector. 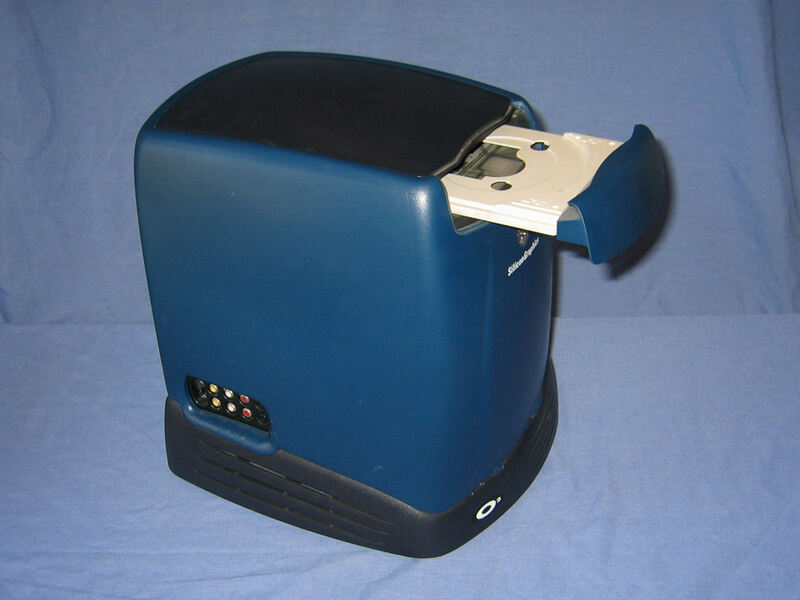 The front of the 1600SW display showing the few scuff marks on it. 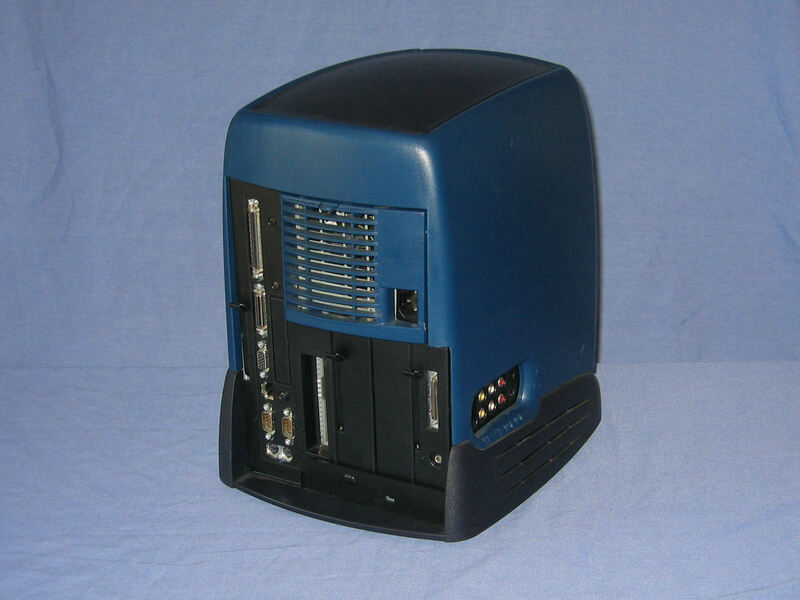 The rear of the 1600SW display showing the off-centre stand. Next to the video cable are sockets for power (left) and the colour lock sensor (slightly below). The top of the MultiLink Adapter features controls for adjusting the display and a power LED. 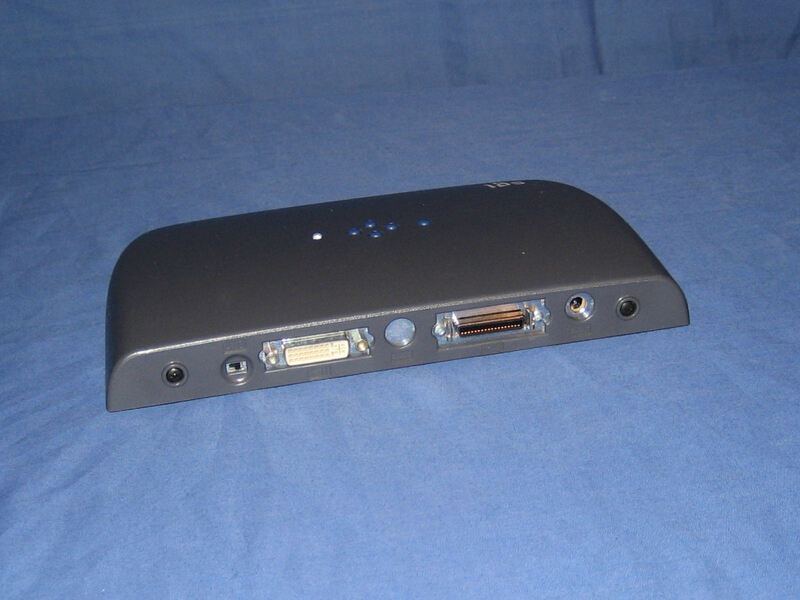 The rear of the Multilink Adapter features an analog/digital switch, DVD-I input, a blank space, the LVDS output, and a power connector. 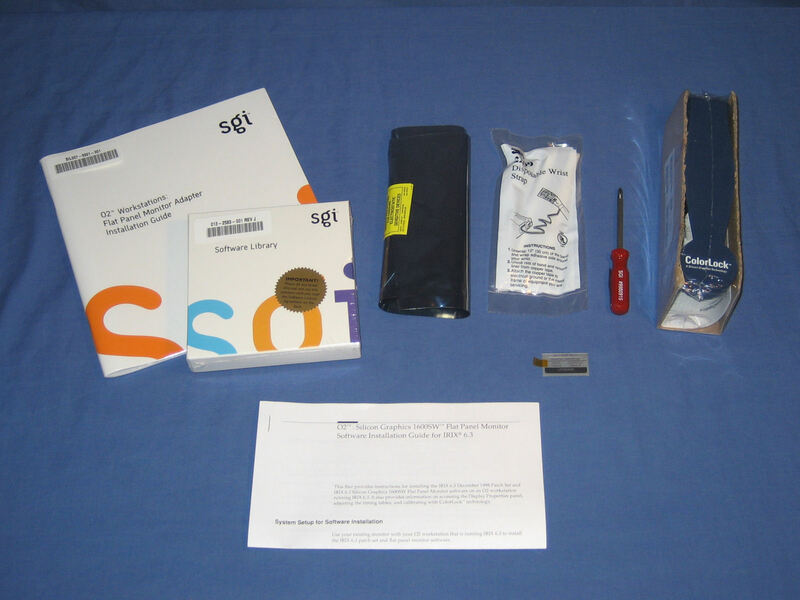 The SGI O2 Flat Panel Accessory Kit includes: Flat panel monitor adapter board, reversible phillips/flat screwdriver, antistatic wrist strap, installation guide, software updates CD-ROMs, software installation guide, and the ColorLock sensor. 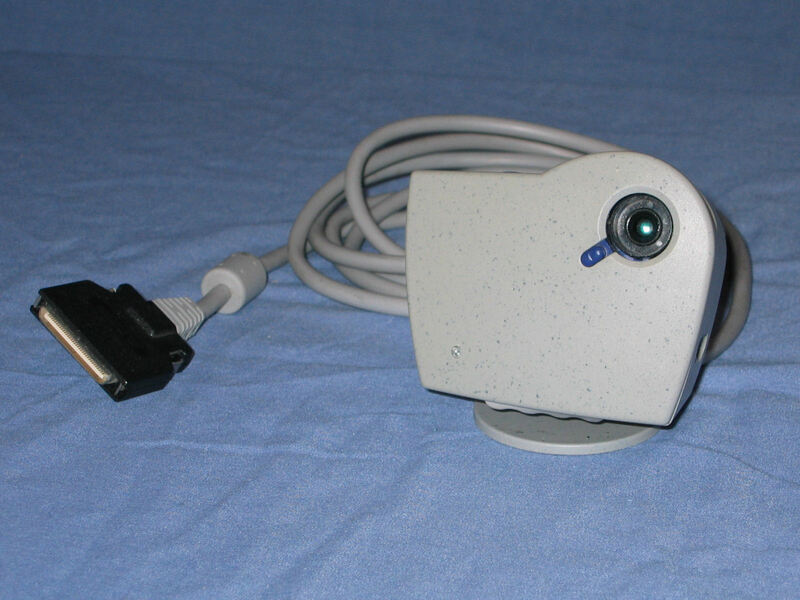 The SGI O2 flat panel monitor adapter board. The ColorLock sensor that is used to calibrate the flat panel display. 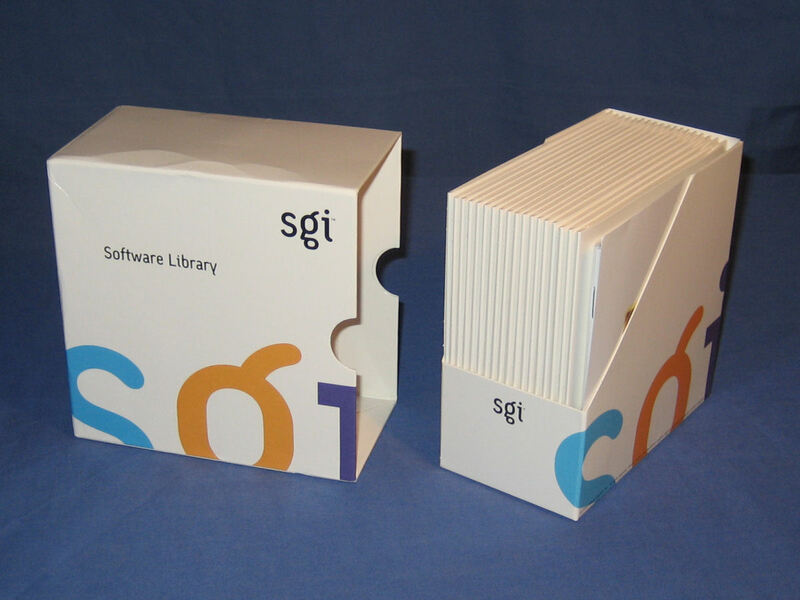 Installation discs for SGI IRIX 6.5.14. 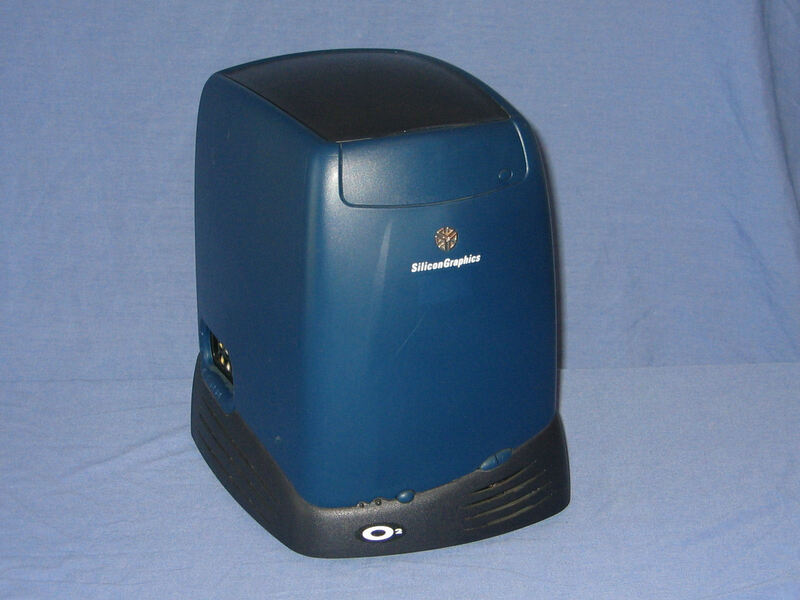 "The SGI O2 is a nice allround-computer. It doesn't offer the power of an Octane, but it has more features at a lower price than an equally equipped Octane."